The police have registered a case against a youth for spreading a hoax WhatsApp message regarding the spread of Nipah virus through broiler chicken. Town SI Sreejith Koderi said that P M Sunil Kumar (28) belonging to Muvattupuzha was booked based on a directive issued by the district superintendent of police. The police nabbed Sunil Kumar by tracing the mobile number which posted the message. 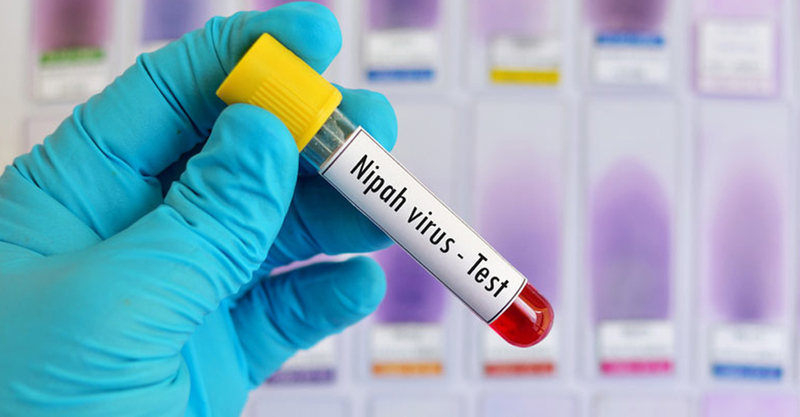 Another hoax message is also circulating in the social media related to the Nipah virus. It is in the form of a press release issued under the letterhead of the official letter pad of the district medical officer and says that laboratory tests had proved that 60 % of the chicken brought from Tamil Nadu was affected with Nipah virus. The message also issues a warning against eating chicken till further notice. The warning is issued purportedly based on a directive of the health department. Kozhikode District Medical Officer Dr V Jaishree has stated that no such report was released by her and had wanted the police commissioner to launch a probe. The state police chief Loknath Behera in a statement here said that stringent action would be taken against those who circulate such fake reports and forward fake posts in the social media. A Kozhikode report quoted District Collector U V Jose as saying such a message was being spread through social media and warned of severe action against those indulging in it. The message in Malayalam, which has the ‘official seal and signature’ of the DMO,says the Nipah virus could have been spread through poultry and people must avoid eating chicken. “Yes, We are taking action. We are taking all steps to check the spread of such false messages through social media”, the district collector said.